The fiancée of Saudi journalist Jamal Khashoggi has said Saudi authorities are responsible for his murder, and the kingdom should give more details so that those who ordered and carried out the killing can be brought to justice. The death of Khashoggi — a Washington Post columnist and a critic of Saudi Arabia's de facto ruler, Crown Prince Mohammed bin Salman — sparked global outrage and pitched the world's top oil exporter into crisis. 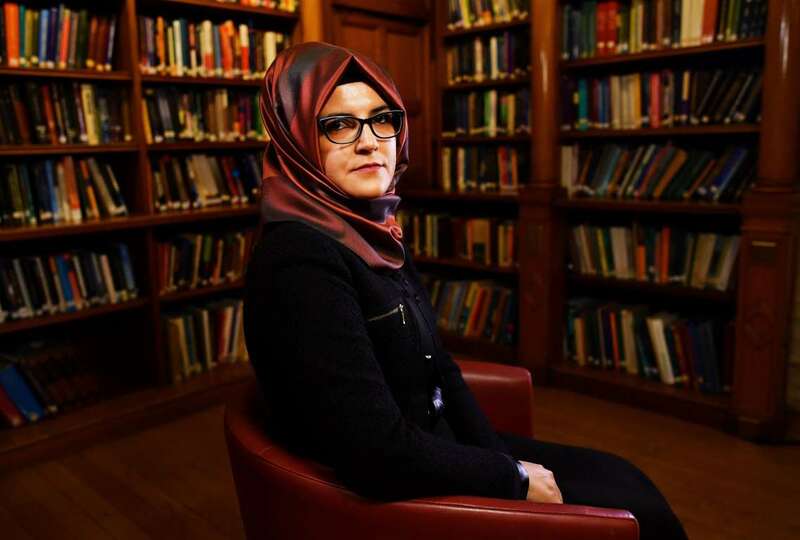 When asked who was ultimately responsible for the killing, his fiancée, Hatice Cengiz, told Reuters in Turkish: "This took place inside a Saudi diplomatic mission ... In such circumstances, the Saudi Arabian authorities are responsible for this." "This incident, this assassination, took place in the Saudi consulate," she said, speaking through a translator. "So the Saudi authorities probably know how such a murder took place." "They need to explain what happened," said Cengiz, who was somber, guarded and appeared at times on the verge of tears. U.S. President Donald Trump has said Prince Mohammed, who has consolidated control over Saudi security and intelligence agencies over the past three years, bore ultimate responsibility for the operation that led to Khashoggi's killing. When asked what she would say to Prince Mohammed if she ever got the chance to speak to him, she said: "I don't think that will ever happen." Cengiz later told an audience she was disappointed with Trump's response to the killing, suggesting U.S. business ties with Riyadh had influenced his approach to the case. Khashoggi, 59, entered the Saudi consulate in Istanbul on Oct. 2 to obtain paperwork necessary for his upcoming marriage to Cengiz, a Turkish national. He did not walk out of the consulate. Cengiz first raised the alarm. Saudi Arabia initially denied any involvement in Khashoggi's disappearance but a Saudi official eventually attributed his death to a botched attempt to return him to the kingdom. "The explanations given so far by Saudi Arabia are not sufficient," Cengiz said. "I want to know the details of who is responsible." Asked if she held Crown Prince Mohammed or the Saudi royal family responsible, she said: "I and my government would like all those responsible, from the person who gave this order to those who carried it out, to be brought to justice and punished under international law." Speaking in central London, she said the West is considered a stronghold of human rights and democracy so it should stand up to the killers of her husband-to-be. "I am disappointed by the actions of the leadership in many countries, particularly in the U.S.," she later told an audience in London. "President Trump should help reveal the truth and ensure justice be served. He should not pave the way for a cover-up of my fiance's murder. Let's not let money taint our conscience and compromise our values." Trump has hedged his criticism of Saudi leaders over Khashoggi, insisting he does not want to imperil a "tremendous order" of $110 billion of weapons he says will support 500,000 U.S. jobs — figures that experts say are highly exaggerated. "Like everyone else, I am still waiting for answers," she said. "The world should know who instigated, were involved in and committed this crime."